Description Located at the intersection of Prince of Wales Blvd., and Confederation Parkway in Mississauga, Ontario, Welcome to Chicago at 385 Prince of Wales Blvd., by Daniels. 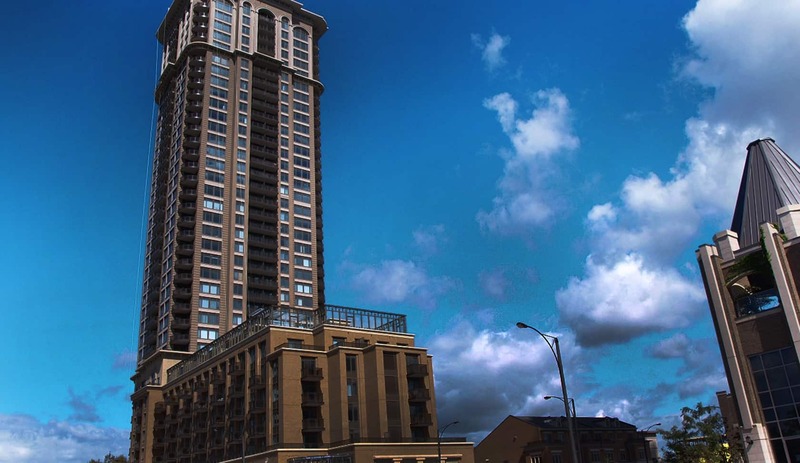 This 36-floor tower was built in 2010 and has superior amenities, great craftsmanship, and central location. Commercial tenants include Subway, a 24hrs. RABBA, and a hot yoga studio. Very clean and well kept condo building. Friendly and helpful concierge. Amenities are great with a wide selection of gym classes. Location is perfect if you enjoy walking when the weather is nice rather than driving all the time. Close to Square One, Whole Foods, Chapters, restaurants and very close to major highways (403/401/QEW). It is a great place to live for young adults but also families as Celebration Square is only minutes away. Celebration Square often has concerts, celebrations (of various cultures), Ribfest and so much more! For young adults there are many options to go for a drink after work or dancing on the weekends (Failte, West50, &co and Bier Markt). Overall, just a wonderful place to live! Great condo to live in. Gym is nicer than most places I’ve seen. The Golf simulator and the free exercises (zumba, yoga, spin, etc) are great. Close walking proximity to the Cineplex, square1, and a bunch of other places for convenience. Great condo to live in. Gym is nicer than most places I’ve seen. The golf simulator and free exercise classes (Zumba, Yoga, Spin, etc.) are great. Close walking proximity to the Cineplex, square1, and everything else are convenient.